The GMC Yukon XL is a great choice for towing cars, boats, horses, and travel trailers when enclosed space is needed for passengers or cargo. Yukon XL is offered in 1500 and 2500 versions. Maximum towing capacity ranges from 7800-8100 pounds for a Yukon XL 1500 model, and about 9500 pounds on a Yukon XL 2500. (Subtract 1500-2500 pounds if the Yukon is fully loaded with people and cargo.) With its long wheelbase and full-size truck construction, the Yukon XL is a stable platform for towing while offering the interior cargo advantages of a full-size SUV. 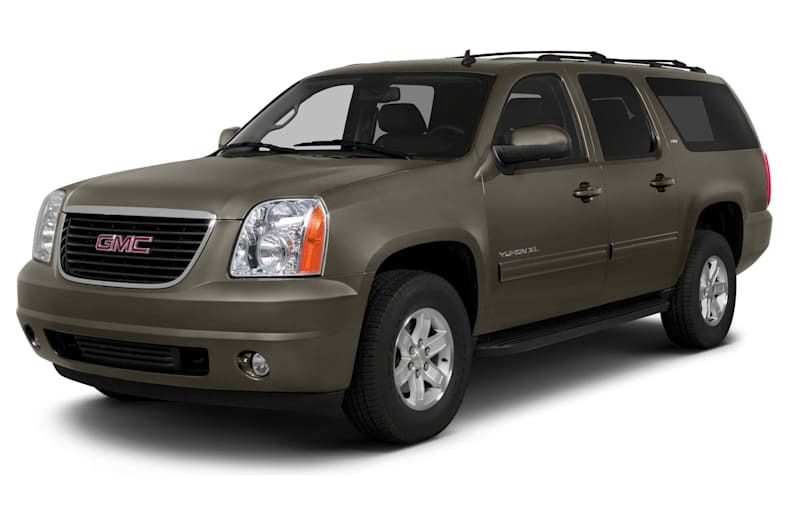 Yukon XL is GMC's version of the Chevrolet Suburban. As the XL suggests, the Yukon XL is extra-long, 20 inches longer than the standard-length Yukon. Like the Suburban, the Yukon XL seats seven to nine people, depending on configuration. While many vehicles will seat seven, few have so much room left over for cargo. Yukon XL Denali is a luxurious model that compares well to the Cadillac Escalade ESV. Denali comes equipped with automatic rear load-leveling. Yukon offers a choice of V8 engines, all with flex-fuel capability, variable cam timing and active fuel management to shut off cylinders when not needed. GM's 5.3-liter Vortec V8 is the standard choice and it's a good one, making 320 horsepower and 335 pound-feet of torque. We enjoyed its smooth power. The 5.3-liter gets an EPA-estimated 15/21 miles per gallon City/Highway, with 2WD or 4WD. Flex-fuel versions of the 5.3-liter V8 are available that can run on E85 ethanol, though use of less-efficient ethanol drops fuel economy by more than 25 percent. Yukon XL Denali boasts a 403-hp 6.2-liter V8. Denali is offered with two-wheel drive or all-wheel drive, the latter an excellent aid for inclement weather but not designed for serious off-road use. Denali comes standard with the AutoRide active electronic suspension, which is optional on the regular Yukon XL. Denali models get an EPA-rated 14/18 mpg with 2WD and 13/18 with AWD. Note that EPA ratings vary considerably, see www.fueleconomy.gov for comparison shopping.